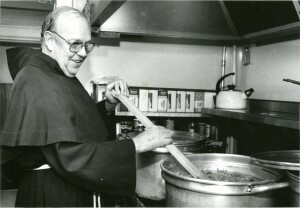 The Franciscan Kitchen (named the Franciscan Shelter House until January 2012) was founded in 1980 by Friar Jim Fields (pictured below). While serving in the U.S. Navy Seabees on Okinawa during World War II, he saw poor people searching in the garbage for food. That experience affected him for the rest of his life. In 1951, Br. Jim joined the Conventual Franciscan Friars and took solemn vows in 1956. 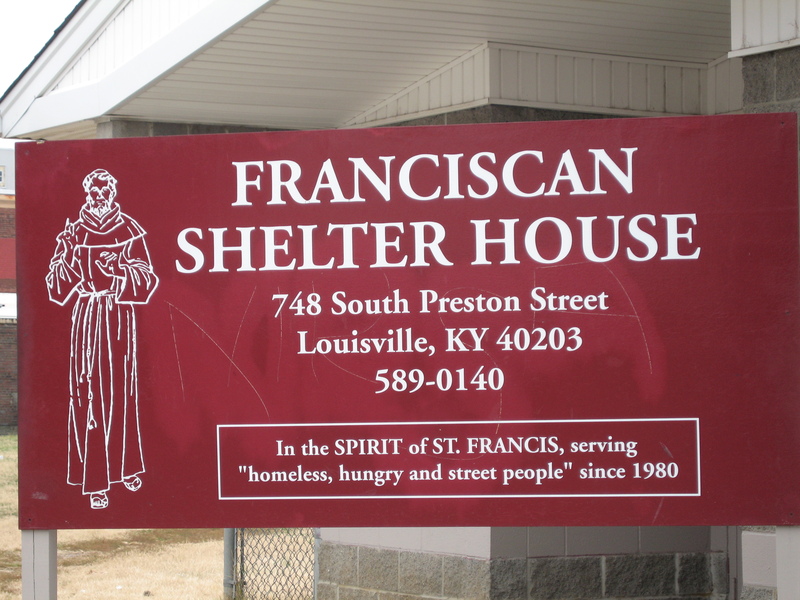 After several assignments, he moved to St. Anthony Friary in Louisville, Kentucky. He began to construct a plan to feed the hungry and homeless in the area. January 5, 1980, he opened the Franciscan Shelter House, serving only seven meals that first day. 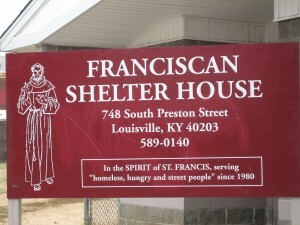 Many thousands of meals had been served and lives touched when Br. Jim completed his work here and returned home to Our Father on January 24, 1998. Originally, Br. Jim planned to use some rooms to shelter the homeless as well as feed them. However, the rooms did not meet the city's legal codes, so the shelter aspect did not materialize even though the name remained Shelter House. Today the work of feeding the hungry continues through the dedication and hard work of a small staff and more than 100 volunteers. It is not unusual for the number of meals served to average over 400 each day.